I want to watch Maxium Overdrive and it isn’t included in either Netflix or Amazon Prime. I don’t want to watch it badly enough to pay $2.95. It makes me angry. 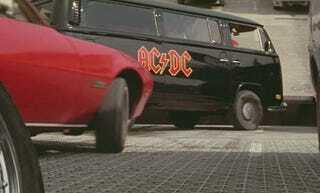 Enjoy AC/DC Volkswagen van.